This month’s spotlight, and the newest cocktail on the del Alma menu, is the Café Olé. 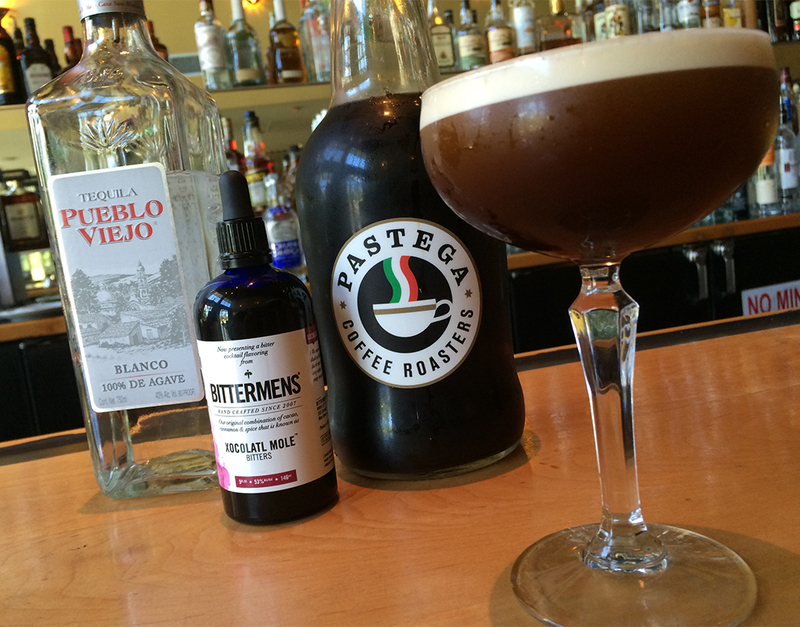 A perfect beverage for those who are looking for a nicely balanced chilled coffee cocktail. Come in and give this a try this summer at del Alma or in Dulce del Alma. Located in downtown Corvallis, del Alma Restaurant offers an elegant yet warm and inviting dining atmosphere with a view of the riverfront. del Alma means "of the soul", and we strive to express that feeling with our hospitality, service and food with every dining experience. Our menu, inspired by the flavors of Latin America, the Caribbean, and Spain, features fresh ingredients from local markets, farms, and ranches of the Northwest. Our bar hosts classic and original cocktails and a wide range of spirits. We also have an extensive food-friendly wine list featuring both Old and New World selections. 3-Course Dinner Special every Wednesday! If you haven't already, come in on a Wednesday and check out our 3-Course Dinner Special for $30.